Indulge in this magically cosy accessory set for winter! The super-soft fleece head band with elasticated back will keep your ears warm in the cold weather, whilst the matching scarf will keep your neck snug. Both are navy blue and embellished with the Little Unicorn design. 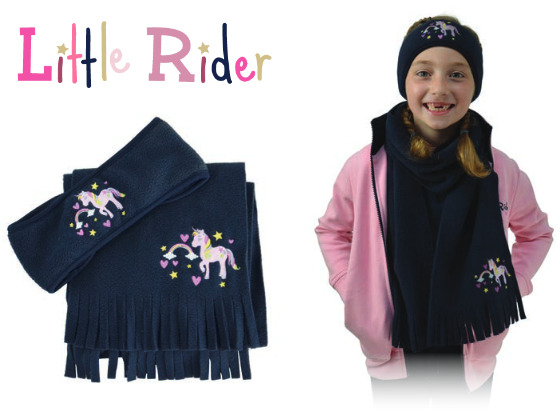 There are currently no questions for Little Unicorn Head Band and Scarf Set by Little Rider - be the first to ask one!